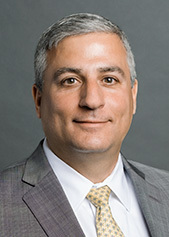 Peter Morreale represents issuers, underwriters, servicers and other entities in connection with the structuring, negotiation and execution of asset finance transactions. He focuses on bank lending, public and private MBS and ABS offerings, CLOs, private equity transactions, structured finance transactions and purchases, sales and financings of various types of financial assets and related servicing. Peter also advises clients with respect to ’34 Act reporting requirements, including on Forms 10-Q, 10-K and 10-D, and counsels parties in connection with pre-litigation and litigation strategy and issues. Prior to joining Cadwalader, Peter was a Managing Director and Associate General Counsel with Goldman, Sachs & Co. LLC. He has also served as a partner and held leadership roles at Nixon Peabody LLP and McKee Nelson LLP. Peter received his J.D. from Fordham University, where he served as an Associate Editor of the Fordham Law Review, and his B.A. from the Georgetown University. Peter is admitted to practice in New York, the District of Columbia and Connecticut. Fordham University, School of Law - J.D.